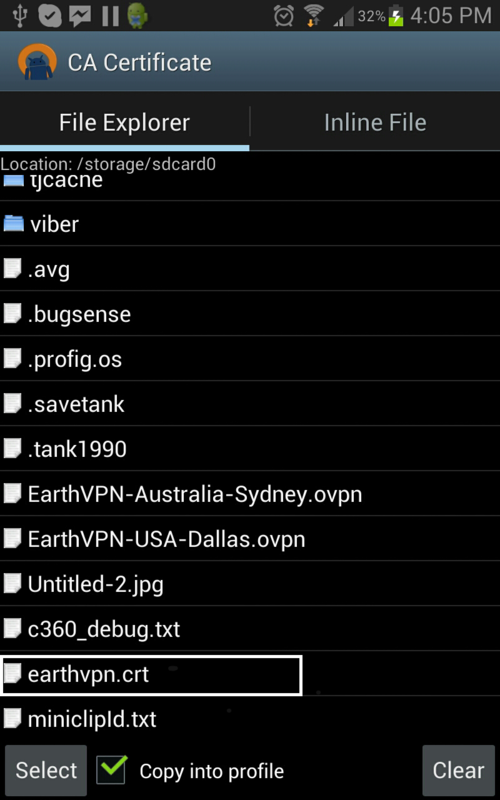 1) You can download the Openvpn client here or you can visit your google store and search OpenVPN for android by Arne Schwabe. 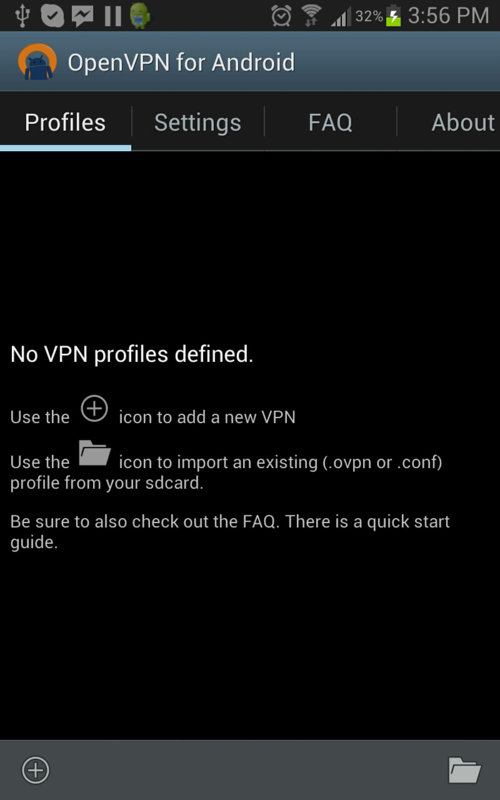 2) Install and run the openvpn software. 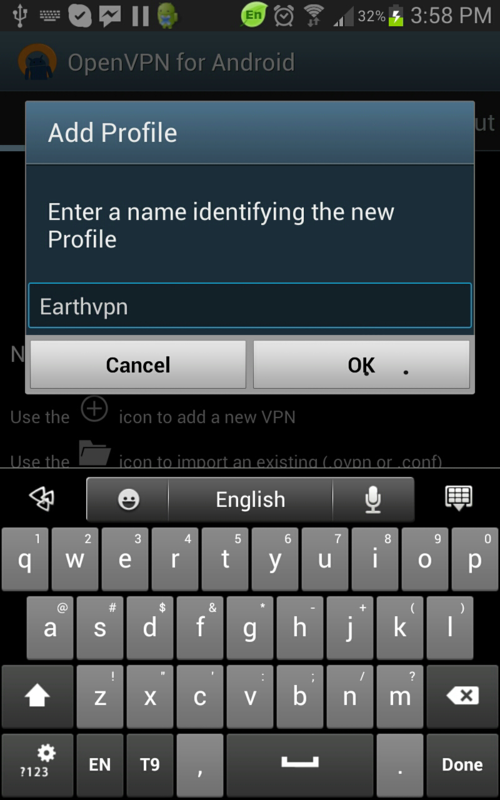 3) Add a vpn profile and you can name it as Earthvpn or Earthvpn location. 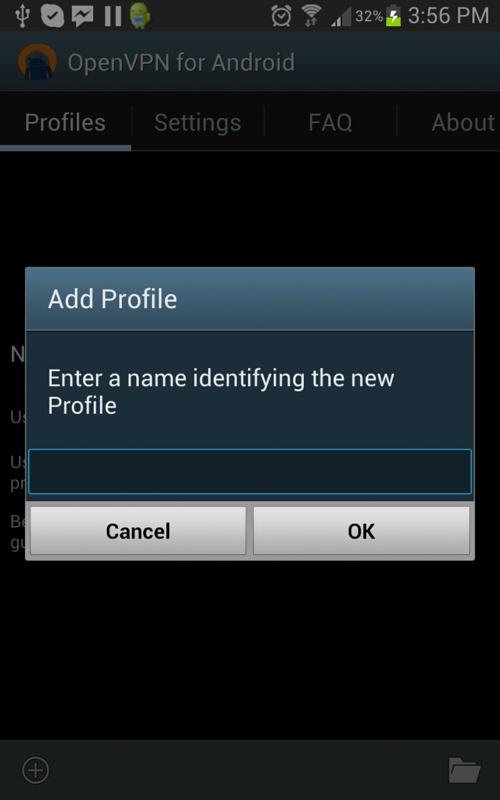 4 ) Upon creating a profile edit the basic settings. 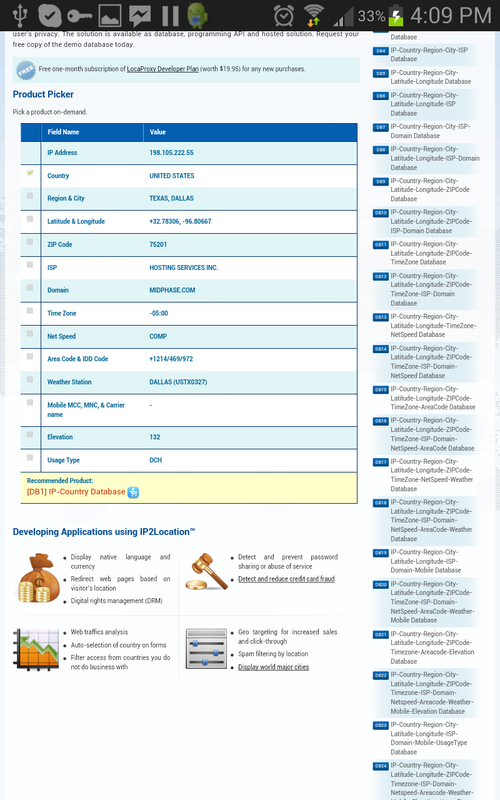 a) Server address.You may find the server address list on the below link. 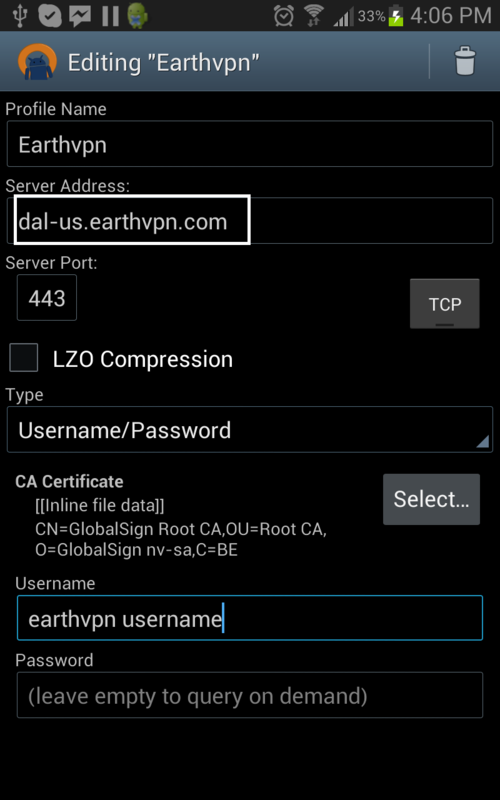 We provide OpenVPN / SSL VPN protocol on TCP ports 80 (http), 443 (https), 992, 1194, 8888 and UDP ports 53 (dns), 80, 992, 1194 and 8888.So you can try both TCP and UDP with different ports. 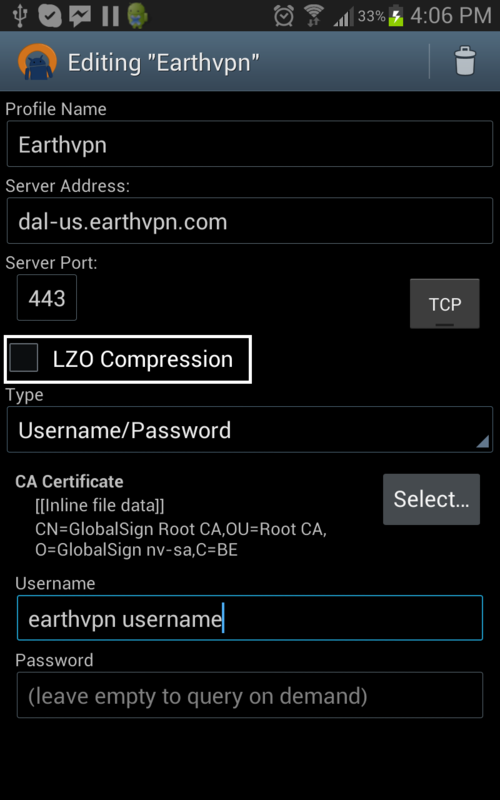 c) Unselect or uncheck LZO compression. e) Select the client Certificate. 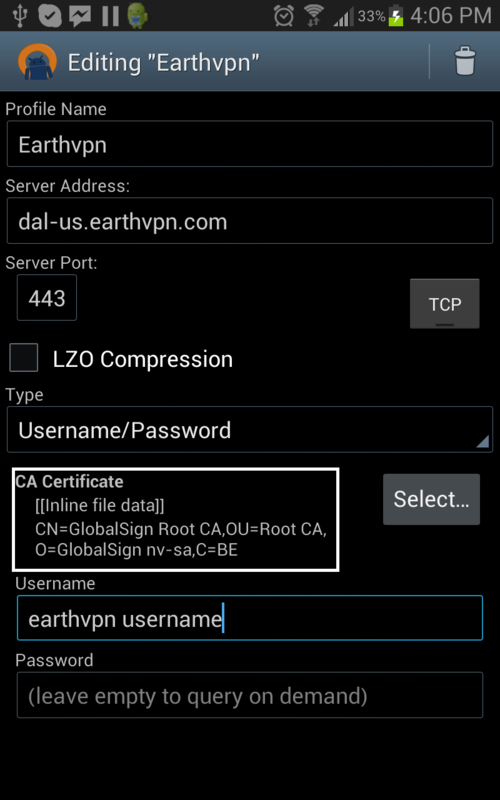 You can download the certificate here and you may import it from a computer or download it directly to your android device. 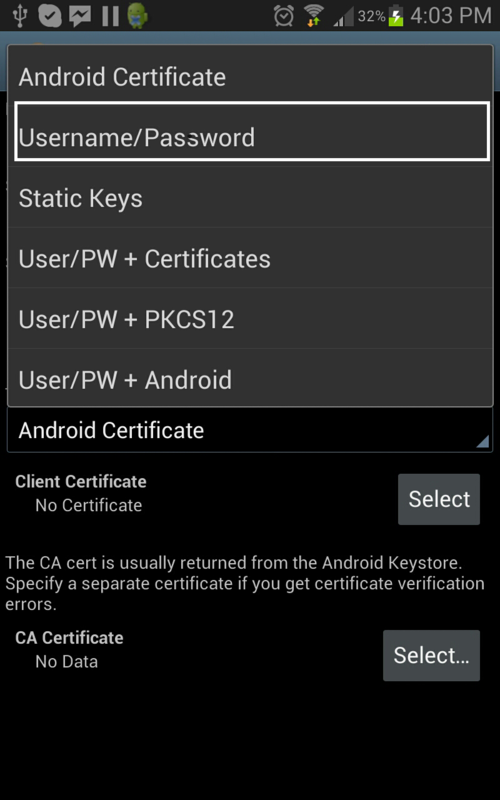 f) select the certificate and will redirect it to the basic settings. 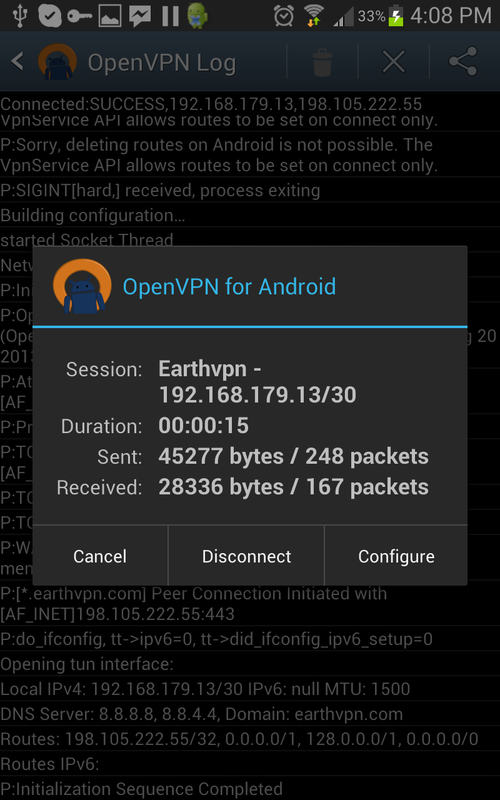 You may need to edit certificate settings and uncheck all as seen on the screenshot above if you are receiving certificate verify failed error message on openvpn logs on newer versions of android/openvpn. NOTE: If there’s no save button press back and the settings you have made will be saved automatically. 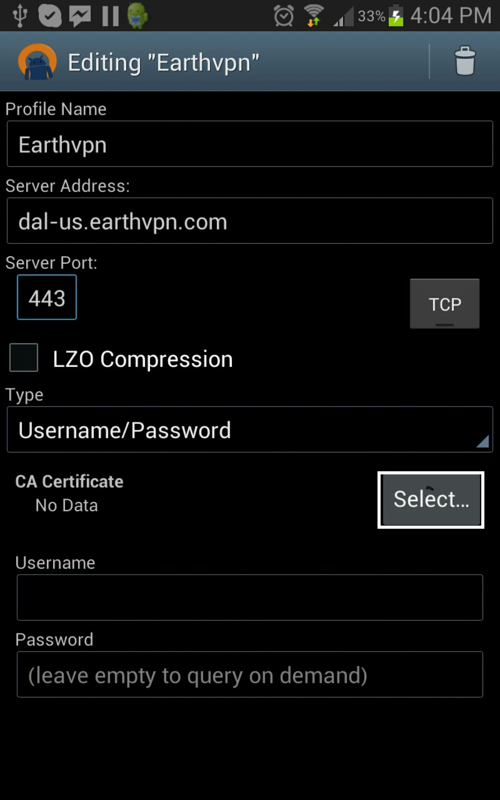 5) For Routing Settings: If you’re using ipv4 kindly uncheck the ipv6. 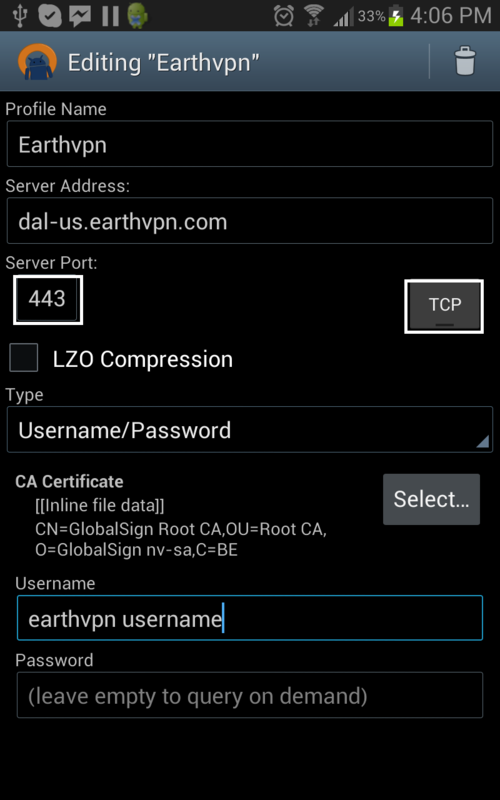 a) For ipv4 select ipv4 settings. 1. Select the connection you’ve made.